We are familiar with seeing space settlements in sci-fi artworks and movies, but these are not accurate. Bryan Versteeg, from Spacehabs, uses scientific principles to grow ideas that can essentially happen one day. The Kalpana One Space Settlement is also one of them. Bryan has developed new extracts of this splendid place. 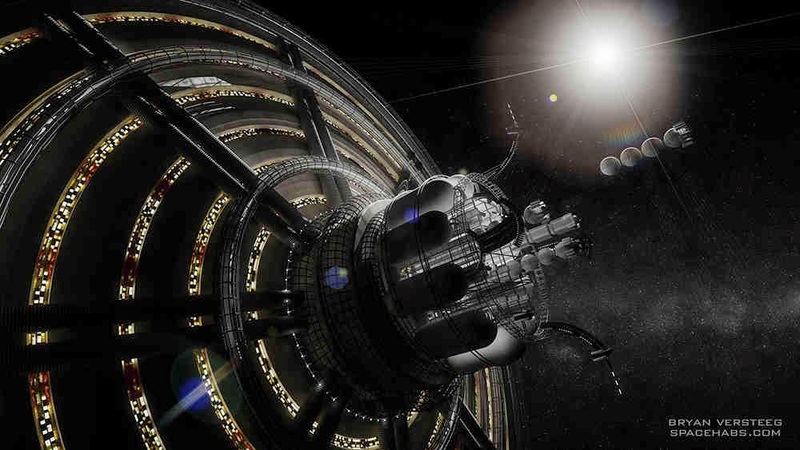 “The Kalpana One Space Settlement design is the result of research into the structures and shapes that large space settlements could eventually take. In the late 60s through the 80s some shapes were defined that became the de facto go to shapes for science fiction and future imaginings. Some of these shapes however had some structural problems and would have had stability issues when rotating while some shapes were not very efficient use of structural and shielding mass for the resulting habitable volume. To find a shape that would create the most "one G" living space and habitable volume per shielding and structural mass, it was found that an elongated can shape would be very effective. Because of the dimensions of the design, it would take very little correction to prevent it from wobbling."